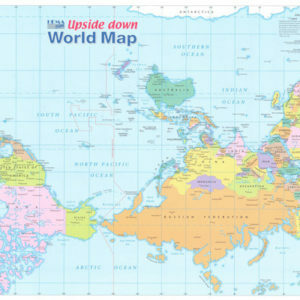 24×33 World Upside Down wall map and mural available in paper, laminated, peel n' stick, canvas or framed. Our 5-digit ZIP code maps are unquestionably the best available. Our maps show ZIP code boundaries, ZIP code boundary names, ZIP code number, city or community names plus county lines and large bodies of water. Each map contains a complete listing of ZIP codes for the counties covered by the map including grid location on the map or explanation of why the ZIP is not shown (e.g. PO Box or unique ZIP). 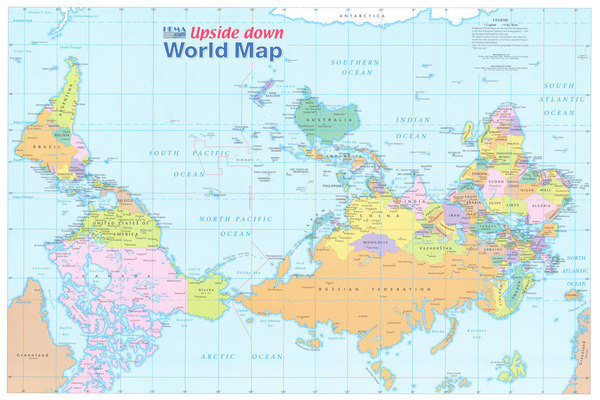 We closely monitor the U.S. Postal Bulletin for new ZIP codes and boundary changes. Most of our major metros are updated every year. Our dealer network and customers keep us informed of new ZIP codes or boundary changes in their areas.